Fridays throughout the year. Tuesdays from Easter to December. Thursdays in high season. Please contact Dartmouth Town Council for information or call 01803 832281. Nostalgically attractive, this listed building is the ideal place to find everything from gifts to take home to pet food, fantastic local produce, health products, hardware and household goods, children’s clothes, plants, soft furnishings, jewellery, vinyl records and dress fabric to name but a few of the wide-ranging goods on offer. There is even a barber and a fishmonger serving up the freshest local catch! Very importantly, there are also two fabulous cafes, one an award winner for their cream teas, with outside seating so you can sit and watch the world go by as you sample the delicious home-made food in the sunshine. The Old Market is definitely the place to unwind and enjoy a bit of retail therapy. Shops are open on Monday to Saturday. Built originally as a pannier market in 1828 where eggs, poultry and fresh produce were sold with goods arriving every day, all from local farms, was sold, and the goods arrived every market day in baskets slung on the back of ponies. Many things have changed since then, but delicious fresh food still arrives from the same farms. There are many aspects of the old building still remarkably the same thanks to the Grade II listed building status granted in 1949 and two extensive renovation projects – one in 1975 and one in 2010 – by the Town Council, which owns the building and runs the markets. The central building in the square is the former Market Court House and the arched entrances at the south and north elevations were built to give access for horse-drawn carriages to enter. The latest scheme added several new retail units, which, with the existing shops, stalls and eateries, provide an eclectic mix of goods that really can boast has something for everyone. The market square is also a venue for many Dartmouth events including the Annual Music, Food and Candlelit Dartmouth Festivals which are held in May, October and December respectively. The Port of Dartmouth Royal Regatta holds a special Regatta market here in August too. 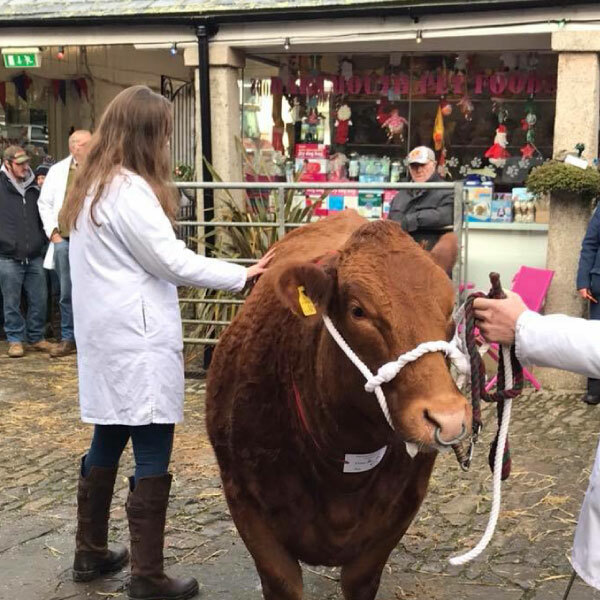 Another show not to be missed is the December Fatstock Show when livestock is on display just as it was in the past. A fantastic chance for you to get up close and personal with the animals. 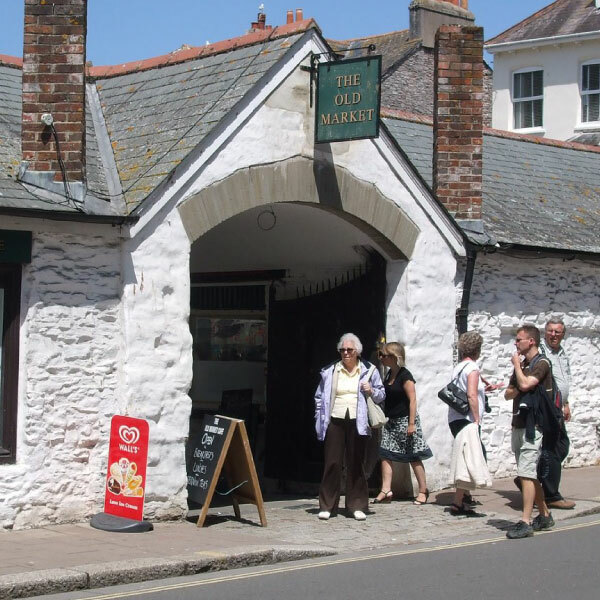 Dartmouth’s historical and traditional Old Market is a diverse and interesting mix of popular stalls in the market square surrounded by quaint shops, all run by dedicated owners that are always happy to chat and pass the time of day with visitors to their beautiful town.